Double Decker is a two storey clear span structure. It is a revolutionary breakthrough of the regular tent, which allows a 200 % usage of the ground. At the same time enables the division of multi-function easily of the interior space. From the upper level of the structure, a winder view is provided. 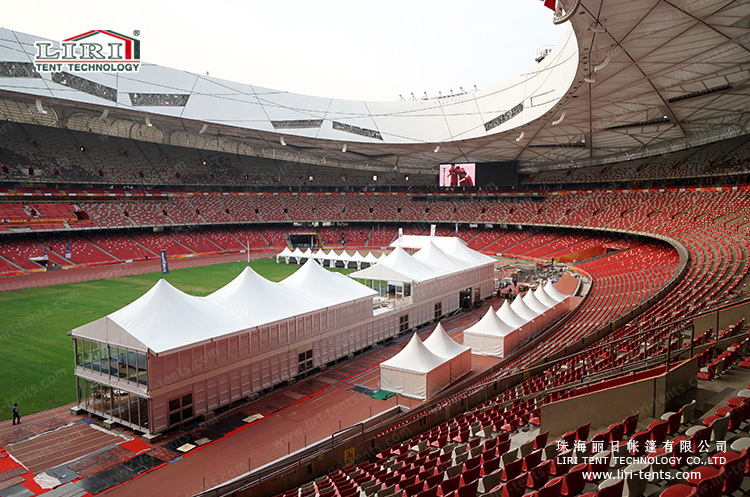 When arranging the outdoor event, a suitable place will be very important. 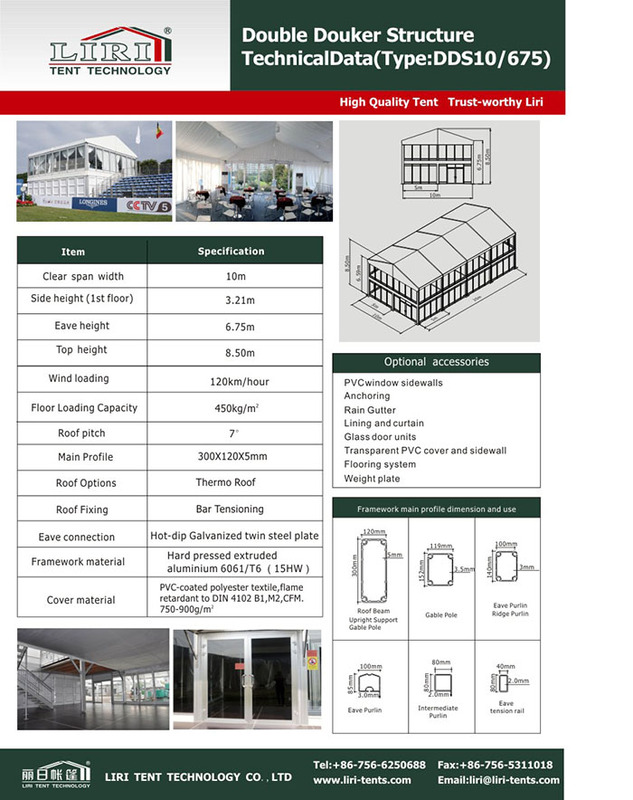 As time went by, more and more people is using a double decker tent for outdoor event center, for the two storey design, it is allows a 200% usage of the ground, and in the same time, for the second floor, you can base on your need to make different division and design. The double decker tent is also can fix with different accessories, like the glass walls, ABS walls, inner lining, flooring system, door system and so on, flexible with different design which is suitable for the luxury high-end events. Size is available from 10m – 40m, and length without limitation, and the roof top design can choose high peaks, normal A shape, cube structure, Arcum design and so on.